In this brief article we’ll talk about different ways on how to flush DNS cache and reset it on Windows 10 computer. So why do you need to clean the DNS cache? When you visit a new website, Windows tries to speed up the process of subsequent access to it. 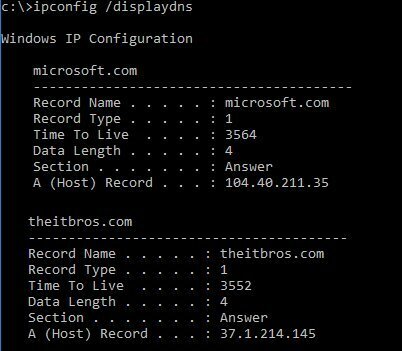 OS also automatically placing information about website’s IP address in local DNS cache. If you use the services of medium and small Internet providers, you can periodically encounter bugs in the work of their DNS servers. Typically, this is happening due to incorrect DNS service configuration and hardware problems. At the scenario instead of the necessary sites will be issued “server not found”, at the worst one – it will start to throw at all kinds of strange sites, including phishing and malicious. And now you have changed the addresses of DNS servers and … all the same and continues. What to do? You need to flush DNS cache and that will help to update the data and fix the problem. Also, resetting the DNS cache can be useful after changing the DNS settings on the computer or router, and also in cases when the desired site has changed the IP address to another (after moving the site to another hosting provider), and you still have the old IP in your cache and so the site just does not open. The described method of resetting the DNS resolver cache works in all versions of Windows from Windows XP to Windows 10. If everything went well, the result should be “Successfully flushed the DNS Resolver Cache“. This means that cleaning the DNS cache was successful. Also you can restart the DNS client service to clear the cache. You can perform this task from services.msc console. 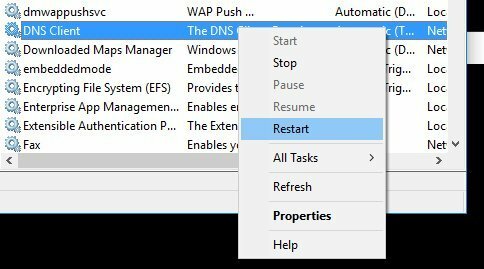 Right click on DNS Client service and select Restart option. If after running the command ipconfig /flushdns you receive an error Could not flush the DNS Resolver Cache: Function failed during execution, most likely the system service “DNS client” is disabled. Run this service or restart it (in case of errors when the service is in running state).